1. The first step is to use it normally for spreading art mediums. 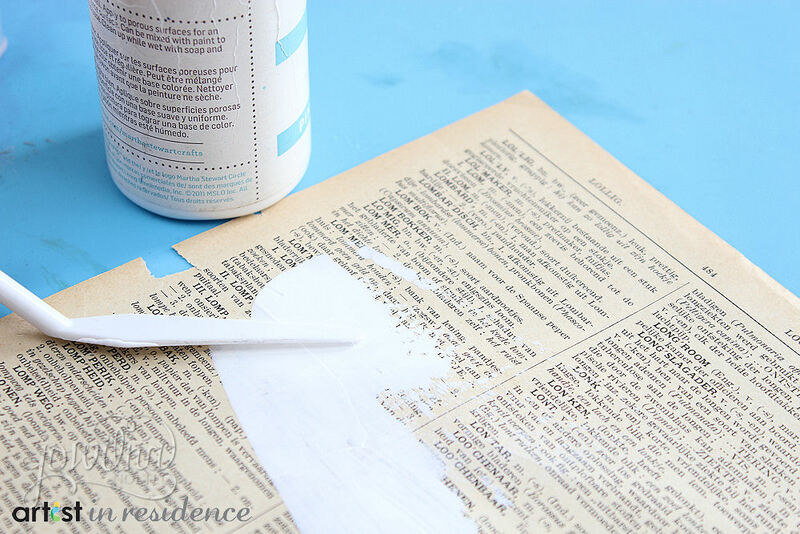 I used my palette knife to spread some Gesso over a piece of old book paper. 2. 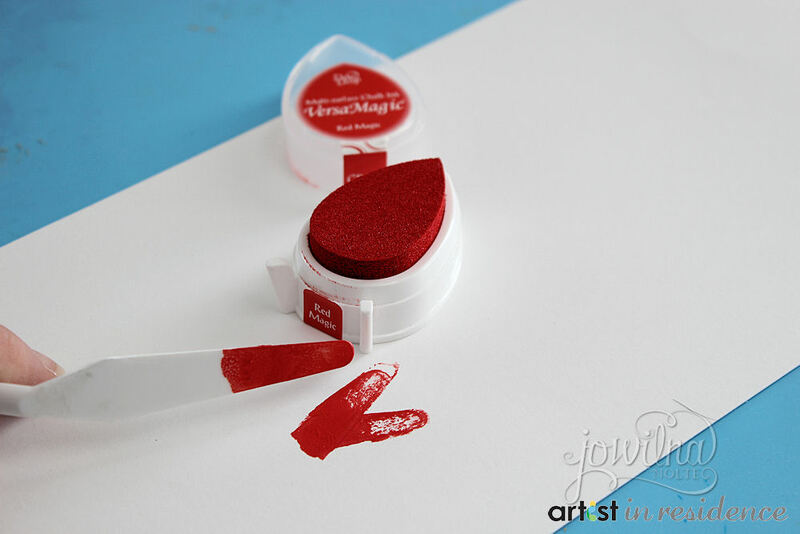 Stamping – Use your palette knives as stamps. 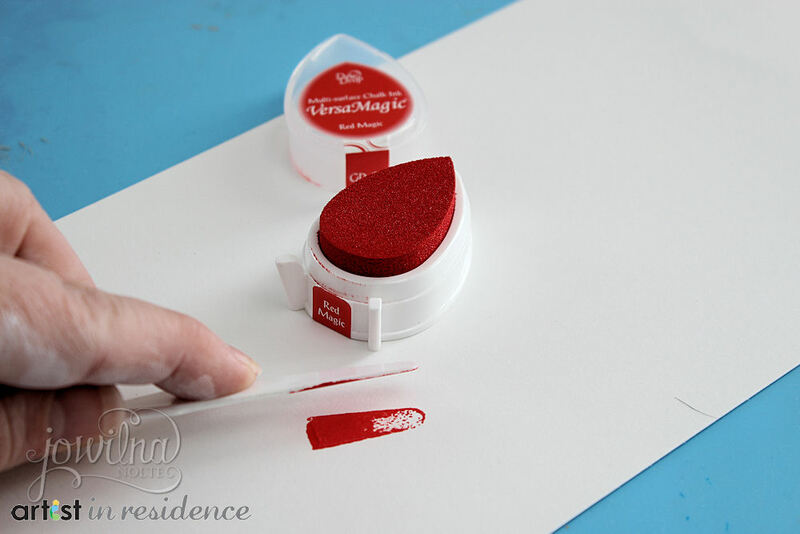 Press the tip of the knife onto VersaMagic ink. 3. 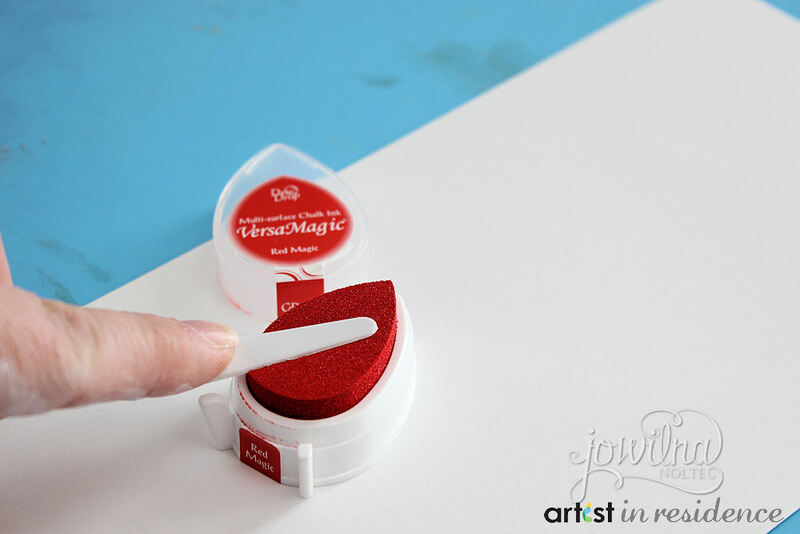 Stamp the knife tip onto smooth white cardstock. 4. 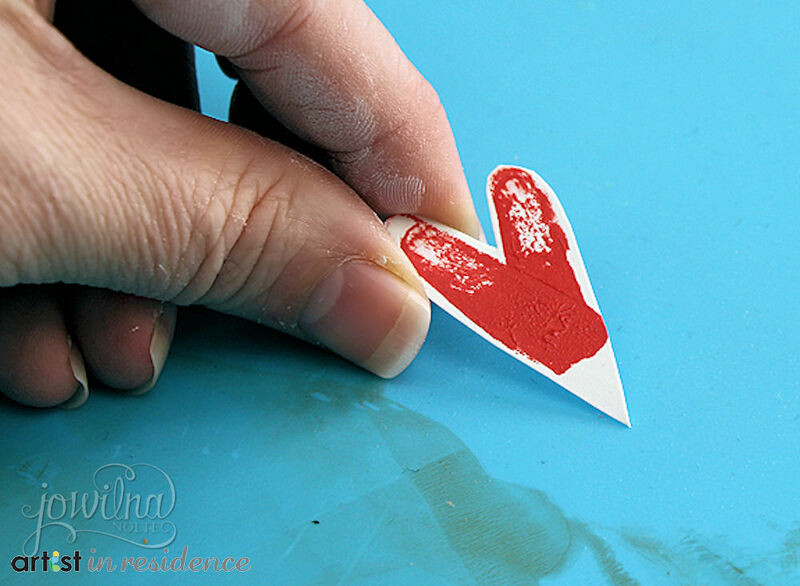 Ink the tip of the knife again and stamp in the opposite direction to form a heart. 5. Cut out the shape into a heart. A quick and easy way to create your own shapes. 6. Lastly I used my palette knife to score and fold my cardstock to create the card base. Palette knives are wonderful and work really well as a bone folder. As long as I have a palette knife I can create something quick and easy.